While I usually try to post my class followups a little more promptly this one has taken a few weeks do to life happening at an unusual rate. I would, though, like to thank everyone who came to the class to get an intro to the basic woodworking hand tools. I'm not sure that at his point I'm able to remember many of the questions that I'd usually address in my followup post, so for this one I'm going to talk about a couple of the tool selections that made it into my student tool chests. If you're just getting interested in hand tool woodwork tools can be pretty confusing. You'll see several tools that look quite alike at wildly different price points. Sometimes this leads to wildly different levels of usability, but not always. I know, I'm not clarifying much. Also, as traditional woodworking has gained popularity used tool prices have gone up. Where does this leave the beginning woodworker on a budget? When looking for tools to include in the student tool chests I try to find things that are a good value (price/performance) and also reduce the frustration of getting started. This is not always easy to do, but I do try and sometimes I even win. 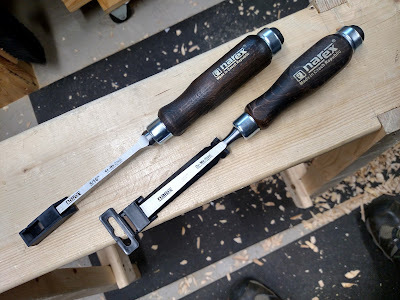 Here are a some new tools that have gone in the tool chest that I think are hard to beat for their solid value, overall quality and performance. If you're looking for a set of chisels that won't break the bank It's really hard to go wrong with these. Student tools will soon include a set of 1/4, 1/2, 3/4 and 1 inch bevel edge chisels and a 5/16 mortice chisel. This group will get you through the vast majority of projects. They have decent balance when held by the blade as you do when chiseling out dovetails. The wood handle is lighter than the plastic/steel cap handle found on many inexpensive chisels. The steel is good and holds an edge well. The sides on the bevels are small to get into corners well. They come with edge protectors that don't fall off. My only, admittedly minor, complaints are that they come sprayed with clear lacquer to prevent rust and the machining needs some easing on the corners to keep you from cutting yourself. Both of these things are easily addressed with some sandpaper. Like the majority of chisels on the market they need some honing to be really sharp. These are really hard to beat for a new backsaw that is ready to go when you open the package. 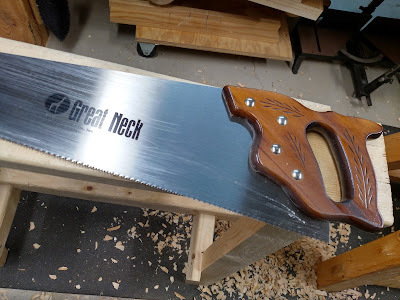 I've tried some other cheaper back saws and the performance/quality just wasn't there and that leads to frustration for beginners in my opinion. Veritas makes these in 3 sizes and a couple of tooth arrangements each. I have the dovetail size in my own chest and the student boxes have the carcass size. 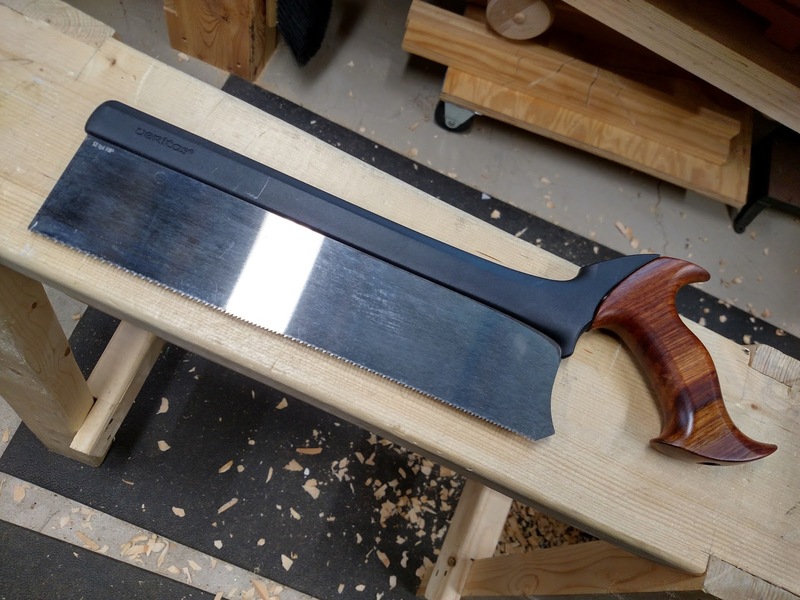 They have what a good backsaw needs, a nicely weighted spine, appropriately sized handles, and sharp well designed and set teeth in a good steel plate. All this for half the price of a custom saw and without the trouble of getting a vintage saw into shape. To get by with one backsaw I've re-filed the carcass saws in the student kits to a hybrid filing (between rip and crosscut) to get good cuts in both directions out of a single saw, although this might be a bit advanced for a beginner. Check out the 3 saw set and get a great value and have all the back saws you'll ever need. Another high value saw. While not as refined as a vintage saw or new saws from other makers it's very accessible at under $30 and works well. This is a 10 tooth per inch (tpi) model that I think is good for breaking down 3/4 thickness stock and more. This saw is offered in a 12tpi model (N2612) as well. I like this saw since it's re-sharpenable, cuts well out of the box and is a full 26" length. The set is a bit heavier that what I like so I give it a quick stoning on each side to reduce the set somewhat. The handle grip is kinda large, but that's pretty common on new mass produced saws, even ones more expensive than this. I've had students that have never used a handsaw before cut well with this saw with the stock handle. I've used it to build several things and find it completely serviceable. It might not suit you if you have especially small hands, or you could modify the grip. Mortice Chisels and Back Saws are really important woodworking hand tools. I really like your writing style and how you express your ideas. Thank you. This is very informative - thanks for sharing. Never knew about these saws - maybe because I don't really cut wood that often and buy it prepped for work.